DRC election: Is Kabila ensuring victory for his man Shadary? Is the Democratic Republic of Congo’s rejection of foreign financial or logistical assistance to fund its forthcoming election legitimate? Democratic Republic of Congo’s forthcoming and long-overdue presidential election is scheduled for the 23 December 2018. Incumbent and outgoing President Joseph Kabila, who has been in power for 17 years, has ended two years of uncertainty and conjecture by not participating as a candidate. Kabila was due to step down in 2016 at the end of his constitutional mandate — thus the forthcoming election has been delayed repeatedly. Election campaigns are in progress, and among the down-to-business candidates outlining their manifestos is Kabila’s preferred successor, Emmanuel Shadary. Overall, 21 candidates will contest the highly anticipated election, including Martin Fayulu — a candidate chosen by the opposition alliance. Fayulu has the support of former transitional government vice-president Jean-Pierre Bemba (2003-2006) and Moise Katumbi, former Governor of Katanga (2007-2015) who have been debarred from contesting. Bemba and Katumbi and their supporters argue that the process by which they were excluded was not transparent or impartial. The big question is whether Kabila is preparing for a peaceful transfer of power to Shadary, one of his loyalists, and ensuring that he does not inherit a catastrophic situation, similar to that which inherited when he seized power after his father’s mysterious assassination. Or is it just for his political ambitions to maintain control; to protect his financial assets and secure immunity from prosecution for any crimes committed while in office for the past 17 years? After regional, continental and international pressure, a farewell speech by Kabila at the 38th Southern African Development Community (SADC) Summit in Windhoek, which took place on 17-18 August 2018, assured the regional organisation and the international community that he would not seek re-election for another term to extend his two years of unconstitutional rule. He modestly bade farewell to fellow SADC heads of state and expressed gratitude for SADC’s efforts towards promoting peace, security, and political stability in DRC. The mineral-rich nation has never experienced a legitimate and peaceful transition of power since gaining independence from Belgium in 1960. Post-independence, in 1965, the country experienced military rebellions, attempted secession by some provinces and the subsequent military coup by the chief of the Congolese armed forces, Mobutu Sese Seko. The charismatic and extravagant military leader-turned head of state ruled from 1965 to 1997, until he was ousted by his successor, Laurent-Désiré Kabila. The revolutionary leader credited for putting an end to 31 years of Mobutu’s dictatorship was assassinated by one of his bodyguards in 2001. 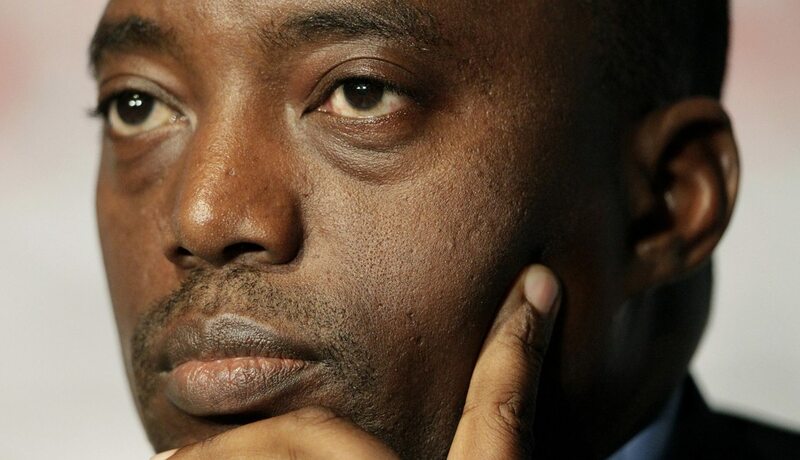 Kabila was succeeded eight days later by his son Joseph Kabila, who remained as president of one of the most troubled nations in sub-Saharan Africa from 2001. Kabila was elected president in 2006 in the country’s first democratic election and re-elected in 2011 — some international observers and opposition parties contend that all these elections were marred by fraud and irregularities. Kabila was constitutionally limited to two terms in office —his final term was to have ended in 2016. A presidential election was supposed to have be held on 17 November 2016, to mark an end to Kabila’s reign which has been marked by increased poverty, high levels of corruption, increased inter-ethnic violence and the use of violence by both the government and rebels groups and militias. However, the electoral commission, Commission Électorale Nationale Indépendante, postponed the 2016 elections on the grounds that it had not conducted a census to determine the number of voters. Furthermore, it required funds to successfully carry out the election of an estimated 46 million voters. At that time, opposition parties accused Kabila and his political supporters of influencing the decision to postpone the elections. As the election draws closer, the country is grappling with an outbreak of Ebola and militia violence in the country’s east. Irrespective of these challenges it has assured the international community that a credible election will be held as scheduled. The electoral commission refused logistical assistance offered by the United Nations as part of its stabilisation mission in the DRC (MONUSCO). The UN had put forward a proposal that the electoral commission could use helicopters and planes to transport imported voting machines to polling stations around the country. Equally important, the country has refused any financial aid in order to safeguard its sovereignty. According to Reuters, government spokesman Lambert Mende highlighted that the reason behind this decision is that “no country in the world accepts foreign interference in a process that is an exercise of sovereignty”. In addition, the country has rejected any bilateral offers of election observers to monitor the integrity of the process. Thabo Mbeki’s “special envoy” offered by South Africa was rejected. However, it has made an exception, with SADC and the AU monitoring the veracity of the process. Furthermore, Mende told journal Actualite that “there will be no more special envoys in the Congo”. The opposition has highlighted that there is no equal participation and decision-making in preparation of the election. Thus, the question is whether the electoral commission is working in favour of Kabila’s faction and all refusals of financial, logistical and advisory assistance are to ensure that Shadary is guaranteed a victory. There should be no illusions — Kabila is undoubtably working behind the scenes to ensure that his long-term political interests are safeguarded. Consequently, some political analysts argue that the rejection of financial, logistical and certain advisory assistance for the elections is just a smoke screen by the ruling coalition to rig the election in its favour. Hence the argument by Kabila and his government that the rejection of foreign aid is to safeguard DRC’s sovereignty is just pseudo-revolutionary method being deployed to warrant a victory. DRC’s insistence on funding its own election will not address the political and security challenges the country has faced since gaining independence. However, hypothetically, if it was not for Kabila’s political ambitions, it could ensure that the necessary foundation is laid for the incoming leadership to be autonomous in their decision-making process. Undoubtably there is uncertainty about the incoming leadership, in terms of long-term political stability. There are numerous scenarios for the country after the 23 December general elections being put forward by political scholars, but whatever the election outcome might be, it would be disingenuous to say that the pursuit of autonomous decision-making should not be an urgent agenda as part of the country’s conflict prevention and peace-building. Contributing to the pre-existing weakness of the state are repeated foreign invasions and the actions of international trade and investment networks. There is polarisation between those driven by legitimate Congolese grievances and untold suffering such as poverty, unemployment, violence and exploitation of the country’s resources, and those driven by profit motivations. Kabila’s government has in the past spoken of territorial integrity and used words such as autonomy, self-determination, national unity, sovereignty, reunification of the country and national pride. Since independence DRC has been characterised by institutions designed as instruments for internal and foreign exploitation. This is the same country that has experienced mutinies, secessions, rebellions, and coups. The dilemma for Kabila’s government, regardless of debates about its legitimacy, corruption, and violence against its citizens, has always been how to ensure that the state is an instrument of collective action. The challenge is that since gaining independence there is no administration that has been able to administer and guarantee security and the rule of law in all the country’s provinces. And when they cannot secure security, that vacuum or void is quickly occupied by other rogue actors with self-seeking motivations. Most of these actors involve mining corporations, local militias, Congolese soldiers, rebel leaders, neighbouring countries, illegal foreign traders and smugglers of minerals into neighbouring countries such as Rwanda and Uganda. Undeniably “state sovereignty” requires more than a monopoly on election funding or denunciation of logistical assistance from the UN or certain advisers or observers. Nevertheless, could it be the failure of Kabila’s 17-year reign to ensure the evolution of fragmented, weak state institutions into strong institutions? And could he have succeeded if all his attempts were further compromised by the heterogeneity of motivations and violent polarisation along ethnic, close-minded, outside interest and provincial lines? A historical analysis of the events leading to the repetitive delay of 2016 elections suggest that the rejection of foreign aid will favour the ruling coalition. It should be noted that the country accepts aid given purely for development and regards aid for its forthcoming election as given for “political ends”. According to Reuters, Mende points out that the government welcomes foreign aid for other sectors such as healthcare and education. Could this be a decision by the incumbent to boost its electoral chances by restricting the opposition? Some socio-economic development scholars argue that foreign aid for elections could be an important channel that sets the trajectory for development. To sum up, ideally, if it was not for the controversies surrounding the upcoming elections, such as election “rigging”, the country’s commitment to self-fund its general election is legitimate and justified. However, the reasoning does not hold weight. The opposition has voiced its concerns about new electronic voting machines which they claim are experimental and as a result could allow vote-rigging in favour of the ruling coalition. Furthermore, the oppositions has highlighted that the election could be free and fair if the electoral commission used the traditional physical voting system, rather than the electronic machines. Whoever wins the election will inherit a troubled nation and cannot establish institutions and mechanisms for peace-building if there are forces internally, regionally and internationally trying to undermine the country’s territorial integrity. For the incoming leadership, “state sovereignty” and “autonomous decision-making” are paramount. It’s either an incumbent government uses foreign aid to fund elections for its own political ends — which is to stay in power — and the donor uses it as a means of maximising the effectiveness of their interests in that country. Michael Khorommbi is a researcher on regional integration and peace-building in Africa. He’s eager to explore these research areas in greater depth and make his own contributions. He is currently studying for a Master of Science in Governance and Regional Integration at the Pan-African University Institute for Governance, Humanities and Social Sciences.